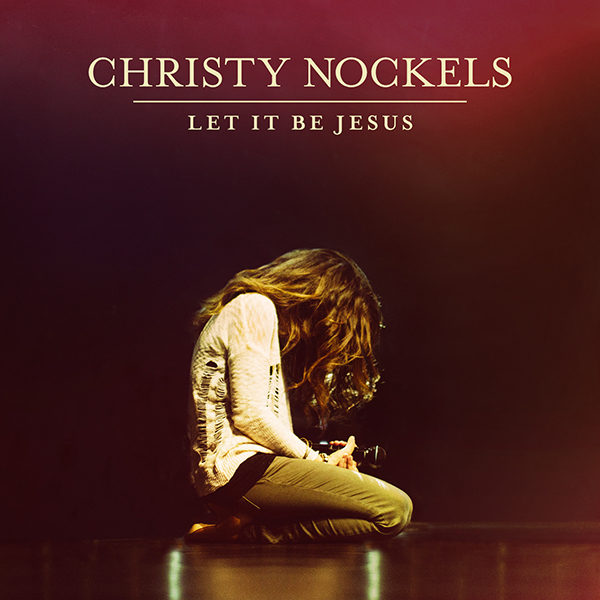 "Let It Be Jesus" is Christy Nockels' first live worship album, and I'm glad she decided to go this route. Especially because "Freedom Song," the opening track on the album makes me want to get up and dance. Honestly, I don't like to dance, so you know a song is good when it makes me think about doing so. I've been listening to "Let It Be Jesus" while I write and work at the computer and keep going back to my favorite first track, which is a celebration of salvation:"I was lost. Your mercy found me, called me from darkness, now I can see." ABOUT THE MUSICIAN :: As a worship leader for many years, Christy Nockels has been an integral part of Passion Conferences since its inception in 1997. She's seen first hand music sweep people into the presence of God in a powerful way. A pastor’s kid, who was born in Fort Worth and raised in Oklahoma, she grew up singing in church. She met her husband, Nathan, in 1993 at the Christian Artists Seminar in Estes Park, Co. They recorded an independent record with fellow worship leader Charlie Hall under the name Sons & Daughters that led to an invitation from Louie Giglio to participate in the first Passion conference in Austin. Christy’s voice gained a national platform when she and Nathan formed the duo Watermark, recording four acclaimed albums before that musical season ended, paving the way for Christy’s solo career. In 2008, the couple moved to Atlanta to become part of Passion City Church, where she serves on the worship team with sixstepsrecords labelmates Chris Tomlin and Kristian Stanfill. The following year, Nockels released her acclaimed solo debut, "Life Light Up" and spent much of the next two years touring with Tomlin and Passion. ABOUT THE ALBUM :: Officially releasing April 28 from sixstepsrecord, "Let It Be Jesus" is Nockels' third album. Recorded at Passion City Church, this is Nockels' first live album. Many thanks to Propeller Consulting/FlyBy Promotions for the opportunity to review this music and for providing the winner with a copy. If you've won another prize from Propeller/FlyBy in the last 30 days or this prize from another blog, you're not eligible for this giveaway. Opinions expressed here are mine. I love that Jason Gray song ... and so many others by him. I'm glad you entered to win this. I can't get enough of that Soul on Fire song and really the whole album right now. Goodness, it's good. I'm amazed by all the great music Third Day has made. And, yes, Greater is a great song too - it's one we like to crank up loud in the mini van. :) I love being able to give away music. I'm glad you entered!